I am loving DC in December. Christmas trees and beautiful window displays all over the city, Christmas markets and free performances every week…it’s wonderful! I love walking by houses and seeing beautifully lit Christmas trees through lovely bay windows. The cold weather makes me want to drink hot cocoa, eat sweet treats and watch marathons of Christmas movies all day. It’s what this season is all about, right? 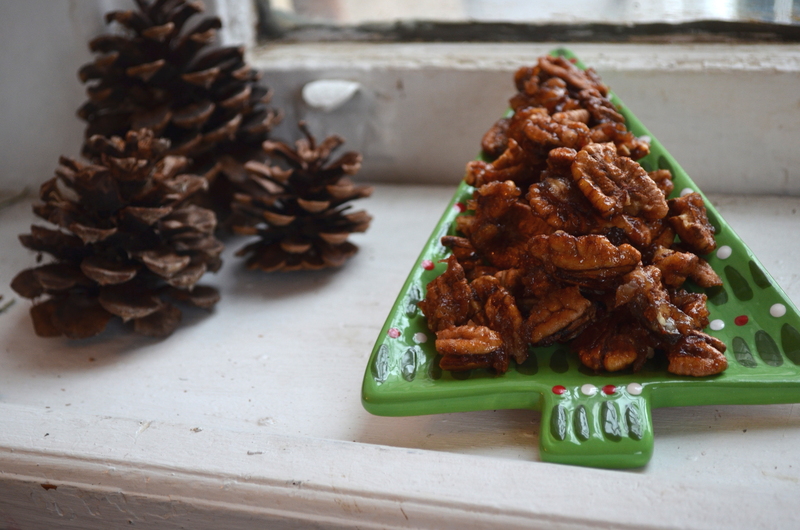 One of my favorite sweets this time of year are candied nuts. Chocolate covered, honey-glazed, cinnamon sugar…you name it, I love it. I decided to make some sweet nuts that would satisfy my sweet tooth, but not make me feel horrible after eating a handful. My family visited us a couple of weeks ago and brought us some delicious pecans from my Aunt’s trees that I used to make delicious honey apple cinnamon pecans. 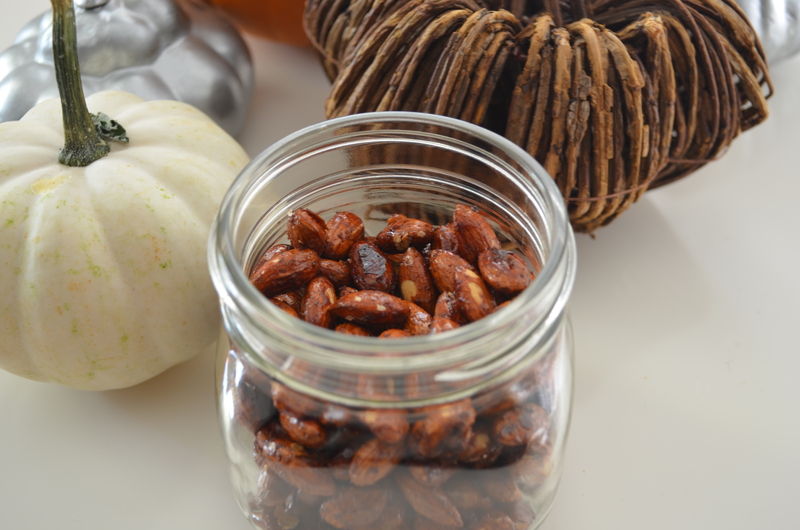 I also made honey pumpkin spice almonds a while back that I’m barely getting around to posting. Both recipes are super easy and delicious, but I’m warning you, they are addicting! 1. Preheat oven to 325 and line a baking sheet with parchment paper. 2. In a bowl, add the honey, salt, cinnamon, vanilla and apple sauce and whisk together until well combined. Add pecans and coat them well in the mixture. 3. Pour pecans on baking sheet and space them out on the sheet. Bake for 25 minutes and let them cool for about 15 minutes before eating. 2. Combine all ingredients in a bowl and pour them on to baking sheet. 3. Bake for 15-20 minutes, shaking or tossing nuts with tongs at the halfway point. Let cool for about 15 minutes before eating. This entry was posted in Sweets and Treats and tagged almonds, apple cinnamon, cinnamon, pecans, pumpkin spice. Bookmark the permalink.